The events in Paris have made me angry, but not for the reasons you might think. The outpourings of sorrow and support should make me feel happier about human nature and our ability to show solidarity for those of us in trouble. But instead, I just feel bitter and angry. Really angry. The tragedy of Paris is the everyday reality for so many countries. Lebanon experienced something similar just 24 hours before Paris did – 41 people died in two suicide bombings in Beirut. Where were the outpourings and shows of solidarity for Beirut? Where were the profile pictures miraculously changing into Lebanese flags and dominating my newsfeed? Where was anything? Any mention of Beirut? Where was the Lebanese flag on our Harbour Bridge and our Opera House? Or any other flag of any other country in crisis? I am angry because I cannot feel the sorrow that is absolutely justified for the people of Paris who went through this horror on Friday night. As I write, for the first time, I feel a lump in my throat and a need to cry for those people. For the scared, for the confused, for the terrorised. For the families who lost their loved ones, for the friends that saw their peers being shot down, for the footballs fans who thought they were going to just another football match. But the media is oversaturated by Paris and that (possibly unfairly) nauseates me and somehow takes me further and further away from what happened. All I see is the priority that is placed on tragedies happening in the West above anywhere else in the world – countries where this kind of thing is happening all the time, every day, every hour. I see the placing of importance of lives lost in one place over lives lost in another place. My partner has had the television on the news channel non stop for two days running. I am in our room, with the door closed, drowning out the sound of news reporters and second hand gunfire as they replay the same videos over and over again. Did we do this on Thursday for Beirut? Nope. We were out at a lovely dinner, none the wiser and not caring really either way. Something terrible is always happening somewhere, isn’t it? I am angry at myself for this. For not knowing. For my wilful ignoring of the news. It is a strange, perhaps misguided sense of fairness that keeps me in my room with the door shut. If I didn’t do it for Beirut or Syria or anywhere else where these atrocities happen on a regular basis, then I will not do it for Paris. I can’t help but wonder about my own country – which was at war for 30 long years. If social media had existed then as it does now, would the world have posted Sri Lankan flags every time a bomb went off at home, killing my people? During the ’83 riots? Would the Sri Lankan flag have adorned the Opera House? The Harbour Bridge? I very much doubt it. I am a sentimental person. My heart would usually lift at the shows of support I’ve seen over the past few days, even make me sit and think and cry in empathy. 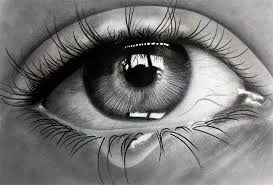 But my tears are bitter ones, filling my eyes as I write this and quietly reserved for those deaths, those traumatic experiences that never make the news or our social media feeds. Let the rest of the world cry for Paris. I will cry for the rest of the world. How disappointing to see that you have fallen for this particularly oafish and hypocritical line of cant, Tari. Perhaps you could try being constructive instead of rude Richard! Catcher in the Rye: my thoughts. thebohemiangypsy on For the rest of the world. Richard Simon on For the rest of the world. Sanjana on For the rest of the world.